On the morning of May 18, 1980, the Mount St. Helens volcano in the forests of Washington State exploded. First, months of building interior pressure triggered a massive landslide removing entire north face of the mountain. This avalanche was followed immediately by a violent eruption that ultimately expelled over a quarter-billion cubic yards of magma. The blast devastated roughly 250 square miles, leaving behind scoured rock, millions of fallen trees, and mud-choked river valleys. Yet the land returned, gradually restoring and regenerating itself. 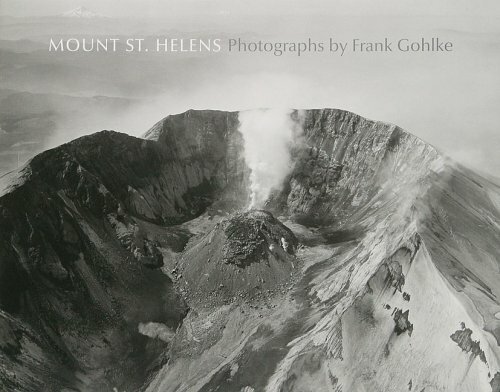 Beginning in 1981 and continuing until 1990, photographer Frank Gohlke made regular visits to the devastated land around Mount St. Helens. This collection of photographs of biblical grandeur records both the ravaged terrain around the volcano in the early years after the eruption, and the regrowth-slow but extraordinary-of the region’s natural forest. Mount St. Helens: 1981 to 1990 contains a dramatic selection of these photographs; an introductory essay on the volcanology and geology of the Pacific Northwest by Kerry Sieh and Simon LeVay; and notes on the images by the photographer himself.